which coilever are best for daily driver comfort? i use have tanabe gf's with stock strust and i hated the car bottoming out. In desperate need of Jive to English translation. Are you trolling, or can you really not figure out that strust is supposed to be struts? OP why not just go with a set of new struts and some new mild springs and save yourself almost a grand? If you aren't tracking the car you don't really need coils imo. Tiens are pretty mild drop and the stock struts should be fine with them. Or you could do the rear spring mount mod. You don't have to go coils. basically anything other then stock is a little too harsh for me. i hate it bottoming out. i would think stock springs to teins would make the ride worse. and if i matched it with dspec or tk blue it might make the ride better, but the lowering springs would lower the front too which i dont want to go any lower in the front. Spring mount mod seems like the best option and lowest risk for you. A pair of rear mounts is around $40 used in the marketplace, and if you dont like it you can always put your old mounts back on. You could actually sell the cut ones for a profit if it doesnt work out. If do you go coilover route, the PSS10s are reported to be one of the most DD friendly coilovers out there. Just keep in mind that whats harsh to one person is a "better ride" for the other. Best to ride in a car with different setups installed and feel for yourself. 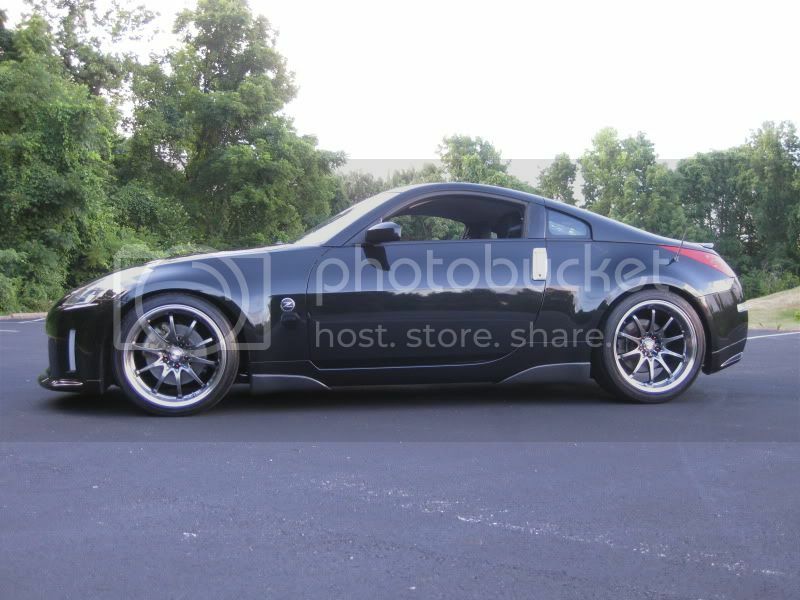 I would do Bc br series Coilovers if I were u. I have them and like them a lot. They go as soft like stock ride if u want or stiffer than a dead horse when u need them to. Drop is decent. Not low enough for me but from the sounds of it u don't want super low. Increasing spring rate does not make them soft as stock, sub par dampening doesn't make them ride well either. Crappy china coil overs is not what the OP needs. KW V1 or V2 would be great for him, dut DSpecs and the spring mount mod will suite his needs well. ^ Damn I was gonna post "inb4terrasmak" but I'm too late! To the OP, before I went to coilovers I was running Hotchkis springs on stock struts and had good luck with them. They definitely lowered the rear more than the front, so front ride height was not much lower than stock (maybe 1/2" lower). Ride quality was very close to stock. op asked for dd coilovers..theres nothing wrong with BC's for that. im saying had good luck with them and id get them again. there just basic coilovers that ride good and can do what he will want. we can debate about this all day whats better. but I dont care enough to. theres alot better stuff out there for sure. BC coilovers here. Love them. I used to DD my car (before I bought my Jeep) and they worked perfectly for my needs. You can go excessively soft, if need be, or incredibly stiff. I run mine a few clicks above the "middle". Wow...I was just thinking about this the other night after washing the Z. Would like to get around a 3/4" (+/-) drop on the back but leave the front the same. Was leaning towards some springs or just a spring mount mod. I run Ksport coils on my DD, softened up they run very well.